Cycligent has announced London’s first live CVR Certified virtual cycling competition. The race will showcase top cycling talent brought in from around the world, and riders will compete against one another in Zwift’s online course environment. 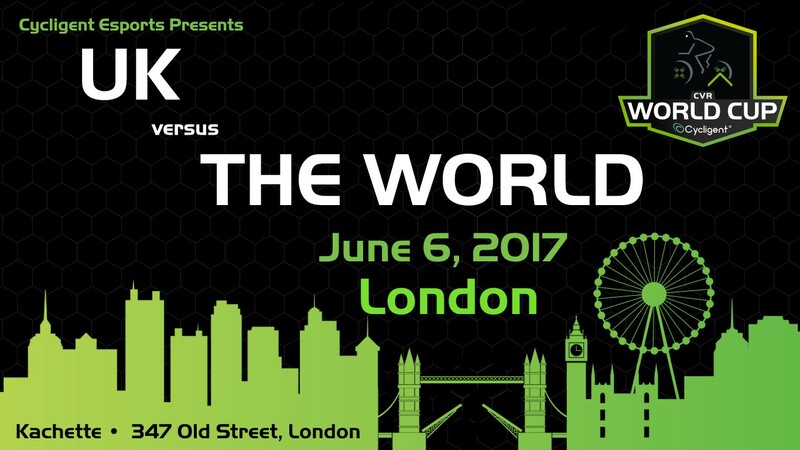 The race will consist of two teams: U.K. versus the World. Five cyclists representing the UK will race five cyclists from around the world, including the US, Ireland, Australia, the Netherlands, and Poland. Win a Trip to Race in London! For the first time ever, Cycligent is inviting all Zwifters to participate in a race in order to win a spot in the CVR World Cup London event. Cycligent will pay for your flight and hotel! To enter you must race in this Thursday’s XRS Thursday Night Race (5:30PM UTC, 10:30AM Pacific). 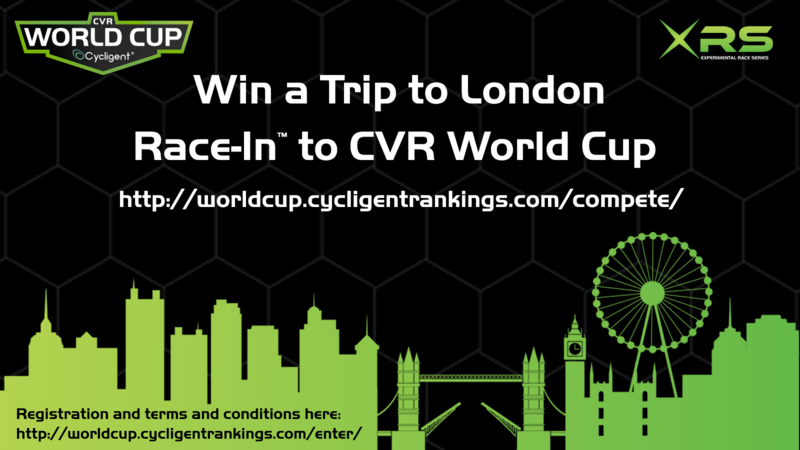 You need to be eligible (have a valid passport if traveling from outside of the UK) and must register here: http://worldcup.cycligentrankings.com/enter/. Cycligent Admin staff will email you to confirm that your entry has been accepted prior to the Thursday Night Race. On Tuesday, June 6, 2017 at Kachette, 347 Old Street, London EC1V 9LP, the Ladies’ race will begin the competition at 6:00 p.m. At 8:30 p.m., the men’s race will begin. Racers will showcase their cycling abilities in real life as they push for a win in the Zwift online game. 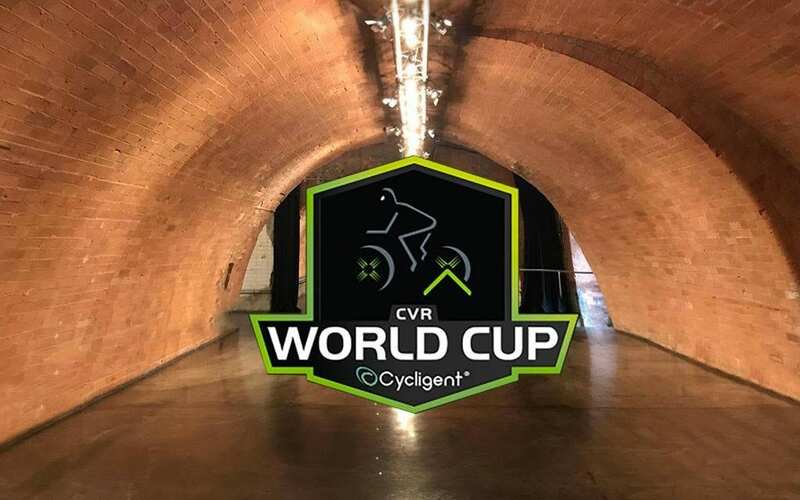 Cycling fans and esport enthusiasts are invited to cheer on the riders, see the real effort and sweat that goes into virtual cycling racing and witness the first CVR certified UK vs. the World competition. The event will be broadcast live in HD at worldcup.cycligentrankings.com/stream/. Tickets to attend are free but donations to World Bicycle Relief are requested. Space is limited. Please confirm your entry by RSVP here. This premiere event in London is part of a series of events held around the world, culminating at the 2018 World Cup Finals held in April 2018. The events are sanctioned by Cycligent Virtual Rankings (CVR). 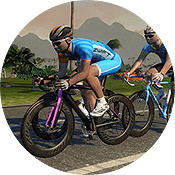 CVR is an international ranking system that ranks virtual cycling racers and aims not only to identify the top virtual cyclists in the world but also make racing more enjoyable for everyone. Prior to the event, CVR officials ensure that equipment is calibrated properly and participant’s height and weight are entered correctly, ensuring their avatars are correctly reflected during the competition and certifying a fair and accurate race. 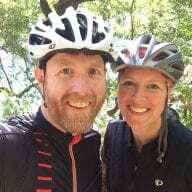 The event will also benefit World Bicycle Relief, a non-profit organization that serves to address the great need for reliable, affordable transportation in rural areas of developing countries, and is sponsored by Cycligent. Glad to see this event. A Tuesday seems like a bad idea. And once again I will say, every rider should be on the same bike with the same wheels. the base bike and wheels vs the Cervelo with a disc wheel is not a level playing ground. looks like some mt. bikers are ready to tackle this event. Rachael Elliot has to be the clear favorite….better hold onto her wheel, Ladies. One of these comps need to be set-up as two teams instead of individuals.